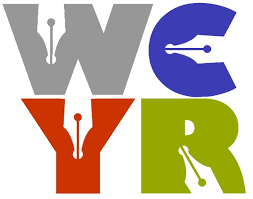 With over 50 Authors and Reading-related Vendors at the launch of the WCYR’s Bookshelf, we couldn’t be happier 😀 Check out the slideshow below for some highlights. For the 2017 Event we are carefully looking at the invaluable feedback received from guests and vendors alike. We are currently in conversation with the Farmers Market about expanding our presence in the marketplace on the day of the event, and opening up our Author Readings to early registrants as we work toward a new structure for presentation (more info to come in early winter). We look forward to having a wider variety of reading-related vendors present and broadening options at our Literary Cafe, as well as having multiple spot prize giveaways, a revamped scavenger hunt, and dollar-draws. With fun for the whole family, we can’t wait to see you on Saturday May 13th, 2017.